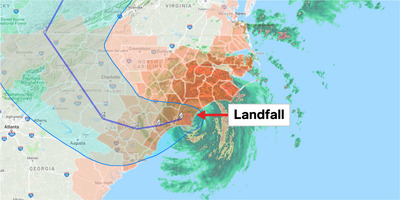 Google; Business InsiderGoogle’s Crisis Map, showing Hurricane Florence over Wrightsville Beach in Wilmington, North Carolina — the point where it made landfall at 7:15 a.m. on Friday September 14. Read Business Insider’s full Hurricane Florence coverage here. 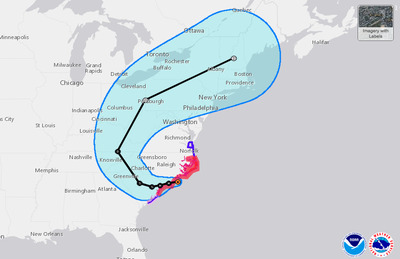 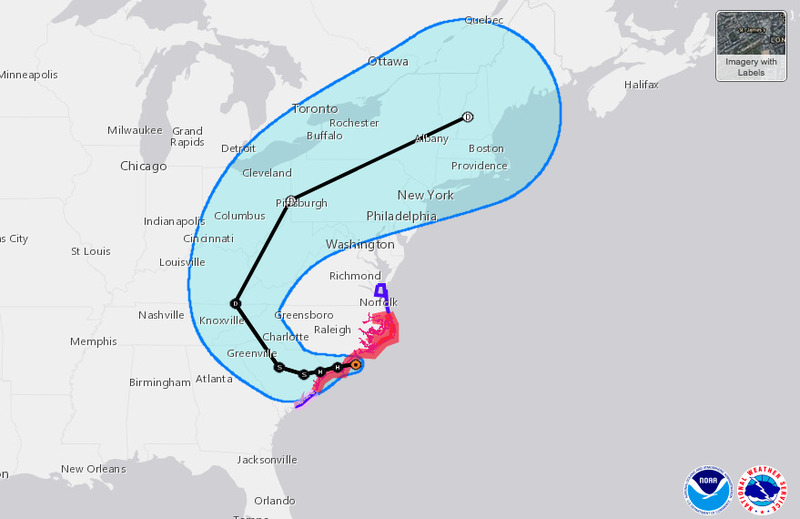 National Hurricane CenterThe predicted track of Hurricane Florence as of 5 a.m. Friday September 14, shortly before it was expected to make landfall.